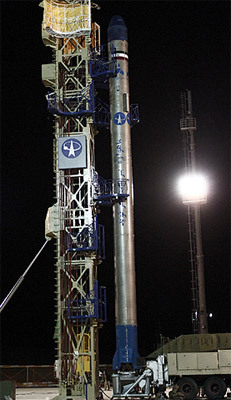 Safir is an iranian space launcher based on the Kavoshgar-1 sounding rocket, which is a modification of the Shahab-3 IRBM. 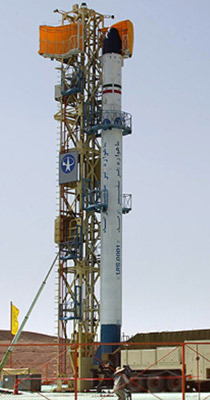 The Safir-1 is a two stage vehicle with a stretched Shahab-3 (Nodong type) based first stage, a liquid fueled second stage with two engines. Safir-1A is a slightly improved version. The Safir-1B introduced an new fuel combination for higher thrust of stage one. Possibly a small solid fuel third stage might be added to improve performance in future versions. Shahab-3 (str.) / ? Stage 2 / 2 × ? Shahab-3 (impr. str.) / ? Stage 2 / 2 × ? 5      2       Safir-1B      . 23.05.2012 ? F  Sem LP-1    Fajr ? 6      3       Safir-1B      . 22.09.2012 ? F  Sem LP-1    Fajr ? Flight 1: Second stage lost control. Unclear, if orbital attempt or suborbital test flight.